I am pleased to report that SIGCOMM had another healthy year. If we look at the SIG from a variety of perspectives, they generally reflect a SIG that is full of vitality and innovation. At the same time (as I'll discuss at the end of this report) we have some interesting challenges ahead. The annual SIGCOMM conference in Stockholm was well attended. It also attracted a record number of submissions (238 of which 26 were accepted). We are grateful to Per Gunningberg, our general chair, and to Christophe Diot and Jim Kurose, our PC co-chairs, for their outstanding work in making the conference a success. Several papers from the conference have already been heavily cited, mostly notably S. Floyd, M. Handley, J. Padhye, and J. Widmer, Equation-Based Congestion Control for Unicast Applications. We held our first-ever Latin American workshop with a focus on data communications in Latin America. The workshop was held in San Jose, Costa Rica, and we met our attendence goals. We wildly exceeded our goals for enthusiastic interaction, especially at the poster session. I would like to warmly thank Julio Escobar, our conference chair, and our many vocal participants. As part of the workshop, we experimented with providing papers in both English and Spanish. More important, we were welcomed by the data communications community in Latin America and with that community and IFIP, SIGCOMM is exploring ways to hold a regular data communications workshop in Latin America. 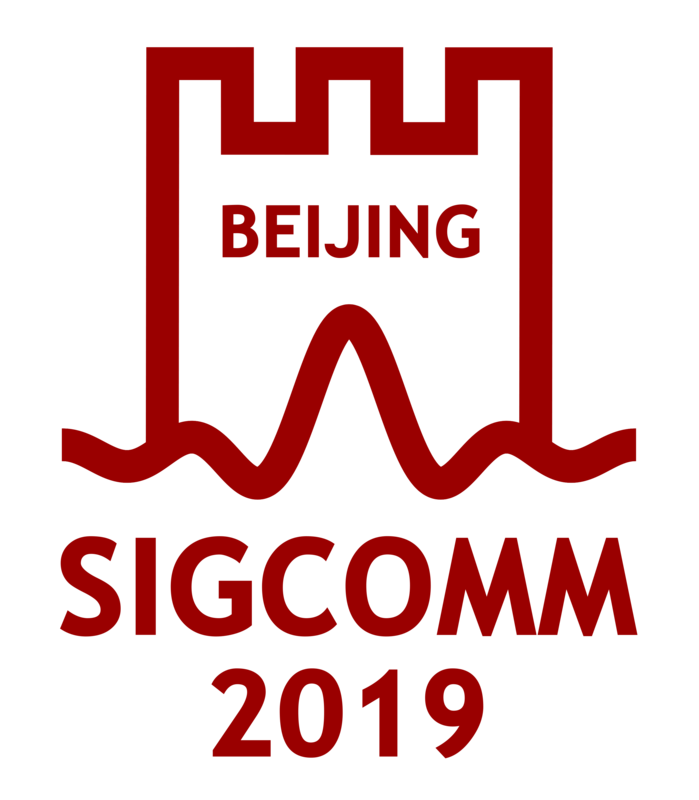 The Latin American workshop is part of a larger SIGCOMM program to expand SIGCOMM's scope from its current European and North American base to be truly world-wide. We continue to vigorously sponsor student travel to our conferences. We gave out 32 student travel grants to ACM SIGCOMM 2000 in Stockholm and a further 20 travel grants to the Latin American workshop. We are very grateful to our corporate supporters (most notably, Cisco Systems) and the U.S. National Science Foundation for their funding of these programs. We arranged in-cooperation status with over a dozen conferences. In return for in-cooperation status, we have asked conferences to put their papers on-line, with some success. Finally, we agreed to sponsor a new workshop on Internet Measurement to be held in the fall of 2001. SIGCOMM's newsletter-journal, Computer Communication Review, continues to publish outstanding papers and continues its focus of being a journal that seeks to be supportive of first-time authors. The SIGCOMM Award for lifetime contributions to the field of data communications was given to Andre Danthine. Prof. Danthine is the 12th recipient of the award and the award has been given every year since its creation in 1989. It is widely recognized as one of the premiere awards in the field. The SIGCOMM Conference gave a student paper award (which includes a travel grant) to Dina Katabi of MIT. SIGCOMM also has a process that seeks to identify promising candidates to become ACM Fellows and get them nominated, with SIGCOMM's endorsement. We're please to note that, to date, all candidates that received SIGCOMM's endorsement have been made ACM Fellows, but also that many candidates in data communications have also become Fellows (indicating that while SIGCOMM's endorsement may help, it is not exclusionary). SIGCOMM's membership declined more slowly than it did last year, but it continues to decline. We have accelerated our efforts to increase the value of SIGCOMM membership. In June we began to give new SIGCOMM members a free one-year subscription to the ACM Digital Library, with the goal of encouraging members to personally experience the value of this on-line archive. Other initiatives are on the way. We have a strong group of volunteers, many with several years of experience. I would like to especially recognize Chris Edmondson for her work as conference coordinator, and Roch Guerin, Andreas Terzis and Scott Shenker, for their considerable non-conference work in the past year. Looking forward, there are a number of issues SIGCOMM needs to address in the coming years. presence in the past, and by increasing the value of a SIGCOMM membership. As part of the process of increasing the value of SIGCOMM membership, we need to broaden our notion of how to serve our members. SIGCOMM's membership prides itself on making many of SIGCOMM's most valuable assets (especially, publications) freely available to the world over the Internet. So a profesisonal society's traditional methods of offering value, through publications, is not very applicable. Other traditional professional society offerings, such as access to discounted group insurance or other group services, are offered through ACM. So we are challenged to find new services that build community and help our members. We are currently looking closely at the experience of SIGMOD, which has successfully grown its membership in recent years, for inspiration. First, the SIGCOMM conference has become fiercely competitive: we now accept about 12% of papers submitted (down from 22% ten years ago). The consequences of such small acceptance rates are well known and include a tendency to accept safe papers (with the result that some innovative ideas are less frequently heard) and the inability to accept more than a few papers in any topic area (with the result that parties interested in a particular hot area may feel their community is no longer properly served by the conference). We are seeing signs that some of these problems are cropping up at SIGCOMM and are working actively to stop the problems before they get any worse. We have been experimenting with our reviewing procedures and will continue to experiment, and to try new ideas, to keep SIGCOMM lively. Second, our student travel grant program has become extremely popular.In 2000, the number of applications for student travel grants soared, from a past average of about 40 applications to nearly 100 applications. The result is that, even though our sponsors were very generous and we were able to fund an unprecedented number of students to fly to the conference, we ended up funding a much smaller proportion of students than in prior years. In the short term, we are simply seeking to raise more money. A long term strategy is still to be crafted.